Alpha Version 6 : Squad – Communicate. Coordinate. Conquer. It’s Update time! We would like to thank our community for being so patient with us as we continue to grind away at the beast known as Squad development. Alpha 6 is now upon us and we would like to take the time to share with you the changes you will experience since the last Alpha version. Note: Due to a major change in the way we do Graphics Settings, all of your custom settings will reset upon first launch of Alpha 6. We’ve updated to Unreal Engine 4.11, pulling in a good number of engine features and performance updates. Take a look at the massive changelog for the engine to get an idea of the scope of all things that changed: HERE. The first iteration of Vehicles are here! The Emplaced Browning M2 .50 caliber rifle is a beast of a heavy machine gun, capable of tearing apart even the most determined of infantry attackers. 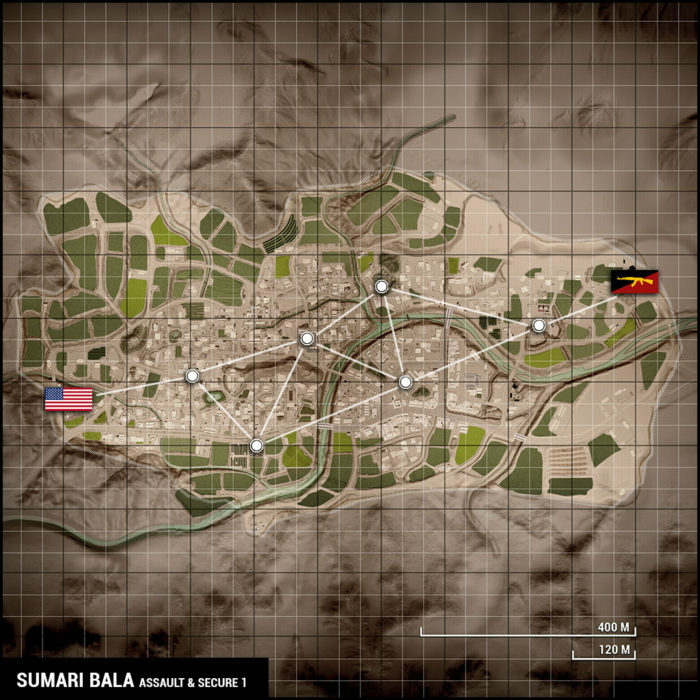 Placeable as a FOB deployable by Squad Leaders, the Browning M2 is your new best friend when locking down an open field on Chora, or creating a kill-zone on a Sumari road. Its effective range for target suppression is well over a kilometer and can easily stop a soldier with just one shot. But due to its limited traverse and elevation angles, operators be careful of your flanks and be sure to have backup! The Browning M2 consumes FOB Ammo Points (which will regenerate over time) when you reload, and you can only have 3 deployed per FOB (2 in Bunker Configuration and 1 Self-Standing). Sustained fire will overheat the weapon, denoted by how much smoke is pouring out of the front of the weapon. The emplacement itself can be damaged and destroyed with rockets, UGLs, incendiary grenades and hand grenades. Employ it wisely in defence or as a means of fire support, and it will prove invaluable in the firefights to come. 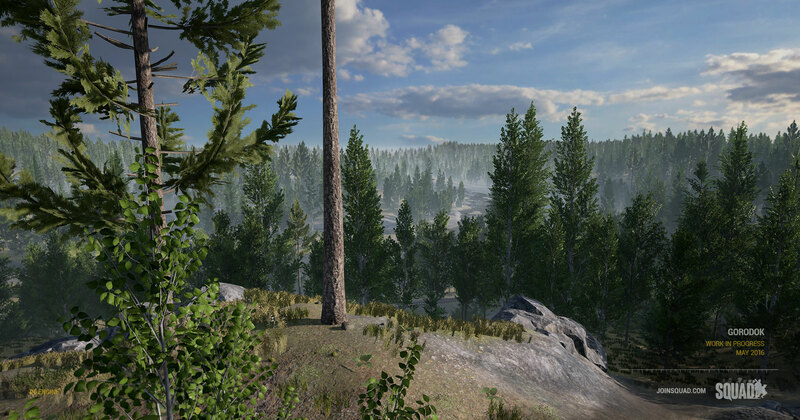 We are proud to include in this release a new map that we’ve been teasing in previous news posts. 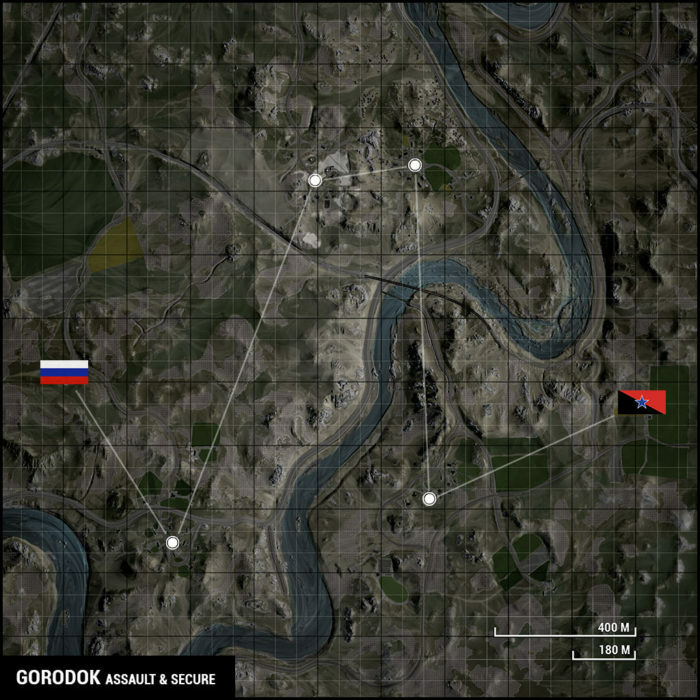 Gorodok is an eastern european inspired map, with large expansive terrain. While Squad is still primarily infantry focused, we will launch with one AAS gameplay layer focusing on a segment of the larger map, pitting Russian and Militia forces against one another in open forest style engagements. A much expanded Sumari is finally ready to be released after many months in the oven, and it’s looking absolutely gorgeous. More than twice in size with hundreds of enter-able buildings, this map will continue to provide endless tactical challenges to any Squad trying to navigate its narrow corridors and many firing lanes. Below is a quick look at the various layouts. 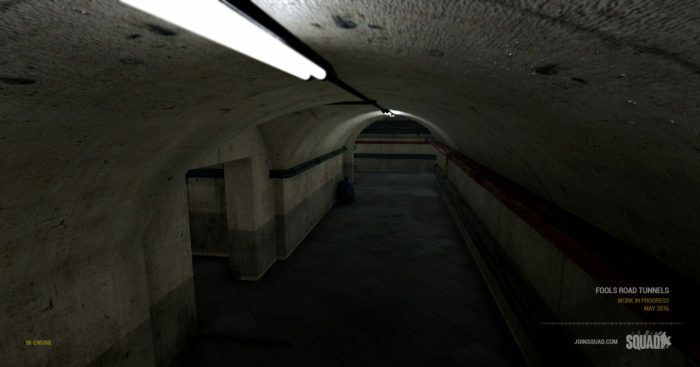 Fools Road has undergone a drastic change, underground that is. A completely new Militia fortress has been carved out of the mountain, with crisscrossing tunnels serving to act as a means for defenders to further entrench themselves. 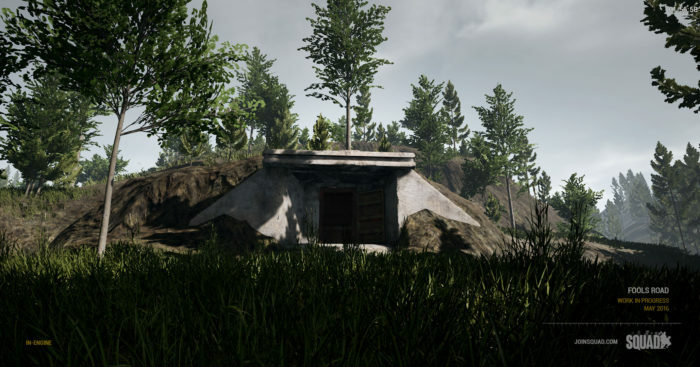 Designed not only as a showcase of our new capabilities to show enclosed underground areas, but to also provide an intense close quarter battle experience for Squads willing to venture into the depths of the fortress. 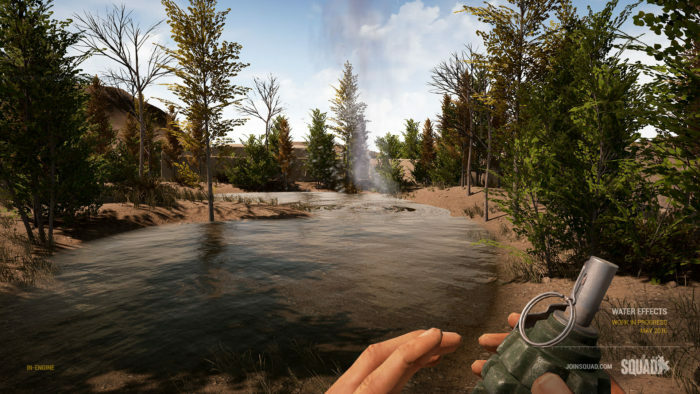 We have now added foliage and water particle and sound effects, be mindful when moving through both of these terrain obstacles as those around you can now see and/or hear you. We’ve fixed a number of performance issues in the game on top the engine performance changes that came with UE4.11. On the server, we’ve done a full pass of over all of our networked objects, reducing their networking footprint and replication cost, making things overall more efficient. We’ve also fixed inventories so that weapons that are not equipped no longer tick and are only updated to client once every second. We’ve fixed an issue where spawning a soldier hitched the server, and removed a large number of networked properties that were not needed. On the client, we’ve been making passes on every map, merging many small meshes into one big detailed meshes to reduce shadow casting overhead. We’ve also implemented Distance Field Shadows (More Info here) while reducing the distance of the highly detailed Cascade Shadow Maps, which has given us a major performance boost on maps with a lot of trees like Fools Road and Operation First Light. In addition, we have reduced bones on the player skeleton so that players farther away will consume fewer resources for animations. We have also eliminated a lot of excess animation nodes and cleaned up our animation code to be more efficient across the board. 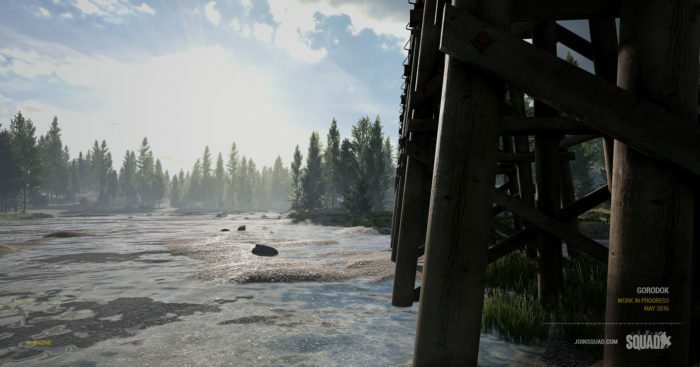 We’ve implemented a Low Quality sounds toggle in the Game Settings on top of general cleaning up of the soundscape, which should help many users with poor audio performance on AMD CPU hardware, as well as in general. If you are having very low FPS with AMD CPU systems, turn on Low Quality Sounds and you should see a nice performance bump. We actively encourage those that do have AMD CPU hardware to try this new update out, and to provide with us feedback on your play experience. tool is being developed which will feature basic R-CON functionality specialized for use with the Squad server. Founders Skins have been added back to the game! If you backed us on Kickstarter or pre-ordered at the Founders level, you now have access to your ingame item rewards. They are disabled by default, so you need to go into your Game Settings and enable the skins you want to use. Note: The Founders Patches for the character models are still being worked on, so while the options are there in the menu, they are nonfunctional. Fixed an issue with soldiers standing when dead if you connect to a server with a game already in progress. Fixed weapon disappearing after using medic bag or field dressings. Added Low Quality Sounds, which should help some AMD CPU users who are having stuttering issues related to sounds. Fixed a bug in AAS where lattice links would incorrectly look the wrong direction when looking for home links (fixes a potential locked in main situation). Fixed a PAAS issue where too many flags could be contested. Fixed an issue while jumping out of gun while holding fire allowed you to jump in the gun and fire without pressing a button. Fixed an issue where the field dressings and medic bags would dissapear on weapon switch. Server Browser no longer kicks you back to main with a server full message after you have completely loaded the map, instead you should see this message pop up within a few seconds of trying to join a server. Updated inventory slider, you can now disable auto switching between weapons as well as confirm and cancel weapon switches that are only still highlighted in the UI. Fixed an issue where overlapping Capture Zones would cause the capture widget to not show while you were in a capture zone. Fixed attenuation and increased volume on healing sounds. Added Bleeding and Wounded/Incap EQ filters that adjust based upon your health. Fixed tracer rounds showing too close or behind the gun barrels. Fixed several physmats having wrong footstep dirt effect, causing weird excessive foot fx on plastic, rubber etc. Ambient sound fixes on Gorodok, Logar and Firing Range maps. Fix for crash caused by jumping in admin cam while reloading on listen server and non-networked games. We hope that you all enjoy this latest Squad update, as always your feedback and bug reports are always welcome on the Forums.